Child custody evaluations should be eliminated. The short- and long-term harms outweigh the meager benefits. 1. My qualifications for making the case as a former "insider". 2. Why psychological testing is neither reliable nor valid in custody evaluations. The "science" is lacking. 3. Why custody evaluations are merely the personal opinion of the evaluator. 4. How custody evaluations create a loophole for damaging and counterproductive hearsay evidence that otherwise would not be allowed. 5. And finally, even if they settle a case in the short run, custody evaluations increase the odds of future litigation, and consequently, for the children involved, the risks far outweigh the benefits. 6. Better alternative solutions for family courts. I taught psychology grad students and law students how to do them (adjunct in Forensic Psychology at UTSMS, and in Psychiatric and Psychological Evidence at Dedman, SMU for 8 years). I wrote the entire section on psychiatry and psychology in the late Professor Dan Shuman's award-winning book "Psychiatric and Psychological Evidence" published by Shepards/McGraw-Hill in 1986. I conducted numerous workshops for lawyers and psychologists about how to conduct custody evaluations, how to testify about them, and how to defend them against the attacks on their validity by lawyers. I was a member of the Committee on Practice and Professional Standards (COPPS) of the American Psychological Association, the professional body responsible for promulgating standards of practice for custody evaluations for psychologists. Once I stopped actually doing evaluations, I had the opportunity to review hundreds of evaluations of other psychologists (and social studies conducted by social workers) as a part of my work as a litigation consultant who specializes in divorce and custody cases. I routinely recommended custody evaluations to the attorneys and to their clients, until recently. I say all this to be clear about my background and my biases--I was a respected and committed "insider" in the custody evaluation "industry" and routinely qualified as an "expert" in family courts for many years. 2. Why psychological testing is neither valid nor reliable in custody evaluations. The "science" is lacking. Because the "best interest of the child" standard, which is the predominant legal doctrine in most states, is so ill defined and complex, it is NOT possible to devise a standardized psychological test which will measure all the factors that go into making a decision about custody or visitation (conservatorship and possession are the Texas terms of art). Standard psychological tests used in clinical settings were designed to diagnose and treat people with psychological problems that actually wanted help and who were willing to admit to having problems. They have limited utility (reliability and validity) in custody cases because no sane parent will admit to problems if they think it might cause them to lose their children, and in fact, many tests taken by parents in custody cases are found to be invalid. Specialized "custody tests" fare little better. None has stood up to the rigors of even the lowest levels of test validity, and none has gained universal professional acceptance as a tool for making a recommendation to the court about either custody or visitation. (see this article for a detailed, objective analysis: http://www.cstaffordlaw.com/Emery.pdf) After 60 years of unsuccessful attempts to develop a valid custody instrument, it's time to publicly acknowledge that this problem is just too complex to be measured by a test. To be fair, psychological testing in a custody evaluation context can sometimes give clues to problems like depression or anxiety in parents that can interfere with the ability to care for children. In most cases, these issues have already been indentified by the other spouse (and probably other witnesses in the case), so the information is neither new nor additive. However, once reported in a custody evaluation, it becomes stigmatizing and fuel for future litigation BECAUSE the psychologist "expert" put it in black and white in a court document. In my view, the risks of harm to families massively outweigh any short-term benefits. The psychological problems that CAN and DO affect custody are the personality disorders (and the substance abuse that frequently appears as a part of those disorders). The problem is, the tests that could diagnose personality disorders are also designed for clinical use (motivated truth-telling by the patient) and NOT for custody evaluations, so they are usually invalid and consequently unhelpful. DSM-IV personality disorders are normally diagnosed by integrating information from the parent's history, and many psychologists are woefully ill-trained for making these diagnoses. Since they don't "believe" in diagnosis, they don't see the patterns, and they don't make the diagnoses. Bottom line, psychological testing has little or nothing to add to questions about custody or visitation. Testing is a hammer; custody and visitation is NOT a nail. An extremely complex puzzle perhaps, but definitely NOT a nail. If psychological testing is INCAPABLE of making custody or visitation decisions, then how does that recommendation appear in the report? Well, the psychologist takes the information from all the sources that he or she used, and using their own judgment, makes the call. That's it. When the psychologist is smart, stable, emotionally healthy, balanced, fair, and unbiased, that personal opinion may be a wise judgment and truly in the "best interest" of the children and the family, but it is NOT the result of any psychological testing. It may even be an educated decision, depending on the skill and experience of the expert, but it is only very thinly a "psychological" opinion. The problem is that the mere use of psychological testing moves the focus of the discussion (and cross examination) to the testing (which is irrelevant to the ultimate issues) and away from the real source of the opinion (and biases), which is the psychologist expert. It is his (or her) personal values, beliefs, personality, history, emotional wounds, and professional knowledge and indoctrination that should be under scrutiny, and it seldom is. Testing confers an air of credibility to personal opinions that is NOT warranted. And frankly, even if a talented lawyer is successful in challenging and even refuting EVERY argument supporting the custody and visitation recommendations in the report, I personally know of NO CASE where the report was repudiated, stricken from the record, and not entered into evidence. Why? Because no lawyer I know wants to try to torpedo the "court's own expert" and have that court-appointed expert's report withdrawn. Never happens. So, what is essentially the personal (not psychological) opinion of the expert becomes part of the court record of this family. Forever. Unfortunately for families in divorce cases (at least in Texas), this loophole in the Rules of Evidence is big enough to drive a garbage truck through, and psychologists conducting custody evaluations do it routinely. Here is how it happens. It must be noted that this kind of hearsay is otherwise completely INadmissible in court. A witness making this kind of allegation, in court or in a deposition, would be thoroughly cross examined, and if the allegation is baseless, publicly repudiated. Not in a custody evaluation. It all lands in the records in black and white-whether true or completely baseless. Why does it matter if otherwise inadmissible and unproven hearsay makes it into a court record? Because parents remember. I have interviewed countless parents many years after their divorce litigation (or re-litigation) is over and nearly all of them can recount instances of unproven fabrications that came up during the process that traumatized them in some way. And most of them are still angry, years later. Angry parents are not only poor co-parents, they are also ripe for more custody litigation. It is these wounds and traumas that keep these people from healing from their divorce wounds and moving on. It is these wounds and traumas that fuel future custody litigation. Only the loophole in Rule 703 as it applies to custody evaluation experts allows baseless hearsay to go unchallenged straight into the written record. And custody evaluators unintentionally collude with lawyers in letting it happen. Years later, the kids and parents still suffer the consequences. 5. And finally, even if they settle a case in the short run, custody evaluations increase the odds of future litigation, and consequently, for the children involved, the risks of continued litigation far outweigh the benefits of a quick settlement. 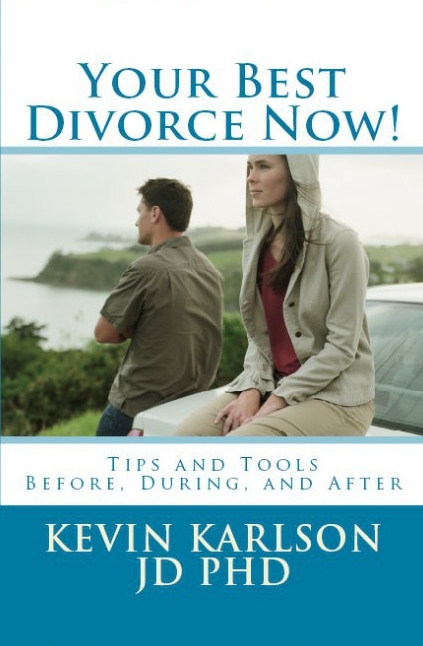 There are only 2 studies which I could find that evaluate the long term outcomes of divorces with custody evaluations. Both studies noted an INCREASE in the risk of future custody litigation of 2-3 TIMES that of divorces without those evaluations. Now granted, only very high conflict cases have custody evaluations, so the risk of future litigation was already elevated in these cases. Nonetheless, if the court itself is increasing the odds of future conflict (and especially more litigation in its own courtroom) by ordering an expensive custody evaluation, is that a prudent use of the court's (and the family's) resources? Not to me. While I am sympathetic to family court judges who have to handle nearly 3000 cases a year in their courtrooms, and who desperately want someone to help them make good decisions in difficult family cases, child custody evaluations are NOT the answer. So what are the alternatives to custody evaluations? 1. Parenting co-ordination/facilitation can provide a forum for high conflict parents to work out a solution. This process not only avoids litigation and all its scars, but also avoids the stigma of custody evaluations and the risks of future harm and even more litigation. 2. Courts can order counseling for parents during the pendency of litigation. Parents in conflict need support, conflict management skills, individual counseling, sometimes individual therapy, and to learn how to work together to raise their children as well as to conclude their legal divorce. These services are readily available and less expensive than custody evaluations. Families in crisis need good solutions to both the emotional and legal issues they must confront to resolve the short-term crisis and to prevent long-term consequences. What they don't need is a custody evaluation. Final note: I will testify as an expert in opposition to court-ordered custody evaluations. I am now available to speak about and to testify as an expert on this important topic. Contact me for a vita and more information.